Velvet Taxis can satisfy all of your transportation needs throughout your stay in beautiful Barbados. Whether you are alone, accompanied by that special someone or even in a group (large or small), Velvet Taxis has much to offer you. Welcome to Barbados - the most easterly of the Caribbean islands and a true paradise. Barbados, although a small island, has much to offer including fine dining, spectacular beaches, amazing parties, energizing water and motor sports and so much more. In order to truly experience the island's wonders, meet it's people and sample paradise's many treasures, you need dependable transportation - Velvet Taxis at your service. 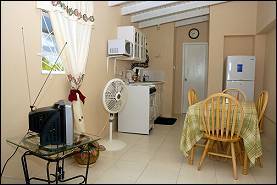 Need somewhere to stay while in Barbados? 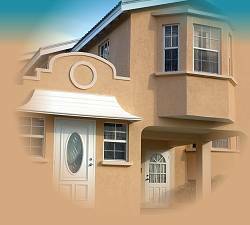 69 Husbands Crescent, St. James, Barbados, W.I. Two attractive, fully furnished self-contained apartments. 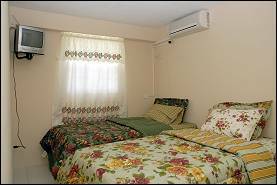 The air-conditioned apartments, located in a quiet residential area, consist of two (2) one-bedroom suites each with its own color television, queen size and twin beds as well as separate private bathrooms. 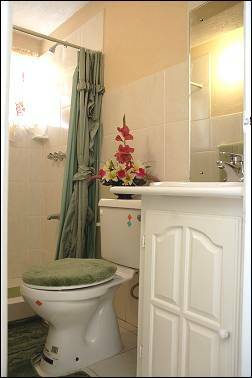 Both suites can accommodate single/double occupancy, or can be converted to a house a family of six persons. The secured apartments are ideally situated within 10 minutes drive of Bridgetown, the island's capital; Kensington Oval, USA Embassy, Hospitals and Beaches, while the airport is a 25 minute drive away. Public transportation is also close by and taxi services are readily available. There is also easy access to banks, entertainment on the west and south coasts and major shopping centers in Warrens, Holetown and Sunset Crest. Our aim is to ensure that guests staying with us have an enjoyable stay. So, come, Stay with US! International and Caribbean visitors are welcome. Rooms are available immediately on a short-term basis.